Leonidas (c. 530-480 B.C.) 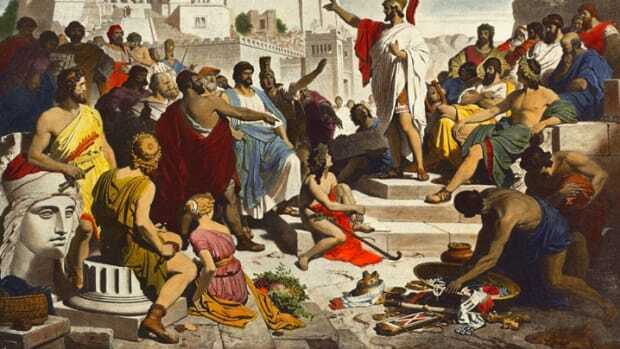 was a king of the city-state of Sparta from about 490 B.C. 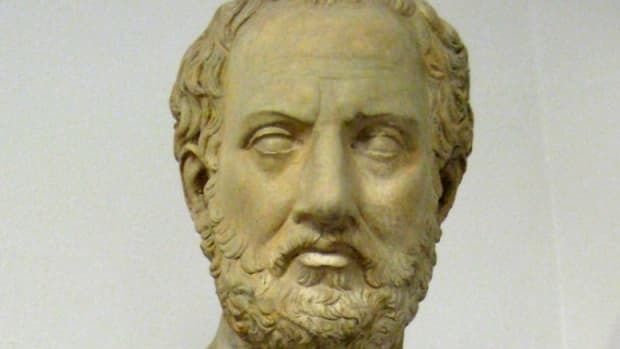 until his death at the Battle of Thermopylae against the Persian army in 480 B.C. 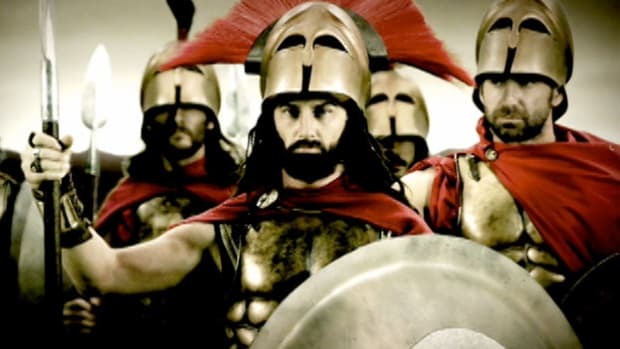 Although Leonidas lost the battle, his death at Thermopylae was seen as a heroic sacrifice because he sent most of his army away when he realized that the Persians had outmaneuvered him. Three hundred of his fellow Spartans stayed with him to fight and die. 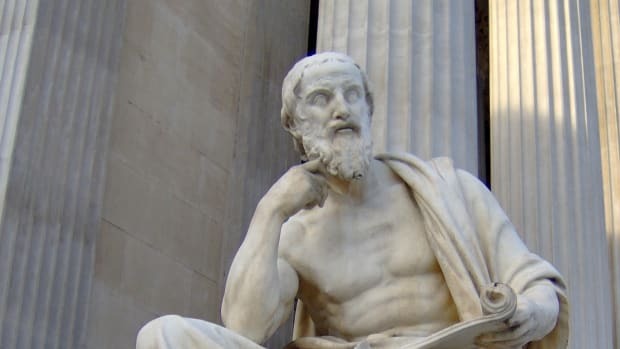 Almost everything that is known about Leonidas comes from the work of the Greek historian Herodotus (c. 484-c. 425 B.C.). 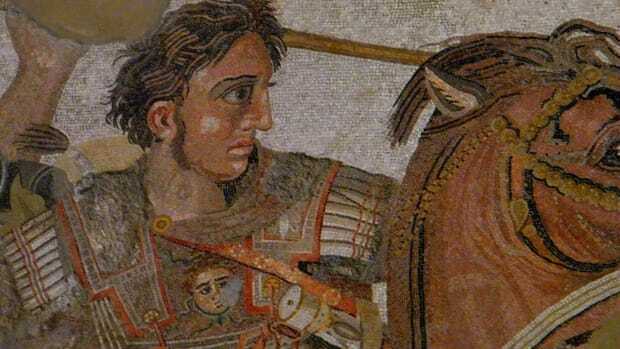 Leonidas was the son of the Spartan king Anaxandrides (died c. 520 B.C.). He became king when his older half-brother Cleomenes I (also a son of Anaxandrides) died under violent, and slightly mysterious, circumstances in 490 B.C. without having produced a male heir. Did you know? The Thermopylae pass was also the site of two other ancient battles. In 279 B.C., Gallic forces broke through Greek forces there by using the same alternate route that the Persians did in 480 B.C. In 191 B.C., the Roman army defeated an invasion of Greece by the Syrian king Antiochus III at Thermopylae. As king, Leonidas was a military leader as well as a political one. 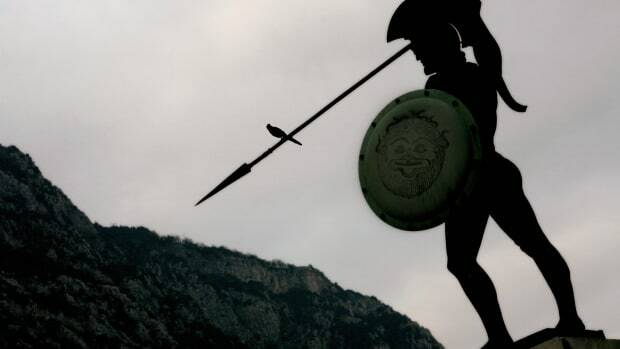 Like all male Spartan citizens, Leonidas had been trained mentally and physically since childhood in preparation to become a hoplite warrior. 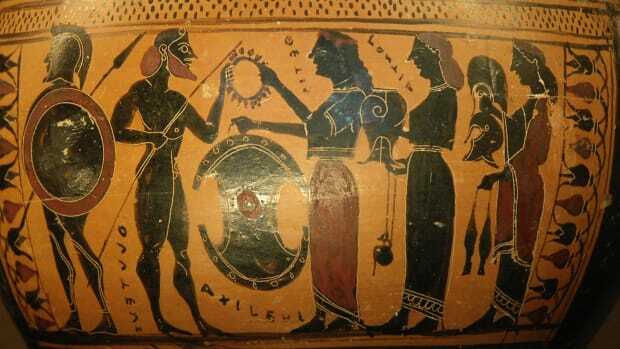 Hoplites were armed with a round shield, spear and iron short sword. 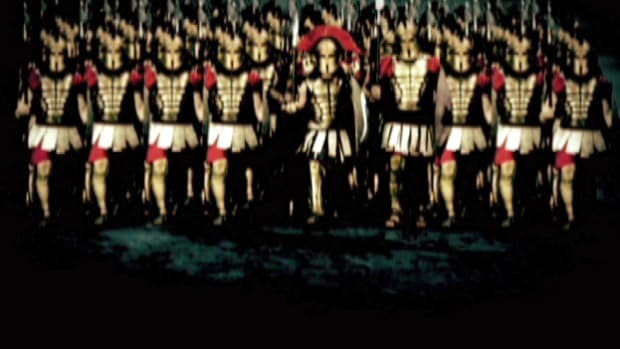 In battle, they used a formation called a phalanx, in which rows of hoplites stood directly next to each other so that their shields overlapped with one another. During a frontal attack, this wall of shields provided significant protection to the warriors behind it. If the phalanx broke or if the enemy attacked from the side or the rear, however, the formation became vulnerable. It was this fatal weakness to the otherwise formidable phalanx formation that proved to be Leonidas’ undoing against an invading Persian army at the Battle of Thermopylae in 480 B.C. Ancient Greece was made up of several hundred city-states, of which Athens and Leonidas’ Sparta were the largest and most powerful. Although these many city-states vied with one another for control of land and resources, they also banded together to defend themselves from foreign invasion. Twice at the beginning of the fifth century B.C., Persia attempted such an invasion. In 490 B.C. the Persian king Darius I (550-486 B.C.) instigated the initial such attempt as part of the First Persian War, but a combined Greek force turned back the Persian army at the Battle of Marathon. Ten years later, during the Second Persian War, one of Darius’ sons, Xerxes I (c. 519-465 B.C. ), again launched an invasion against Greece. Under Xerxes I, the Persian army moved south through Greece on the eastern coast, accompanied by the Persian navy moving parallel to the shore. To reach its destination at Attica, the region controlled by the city-state of Athens, the Persians needed to go through the coastal pass of Thermopylae (or the “Hot Gates,” so known because of nearby sulfur springs). 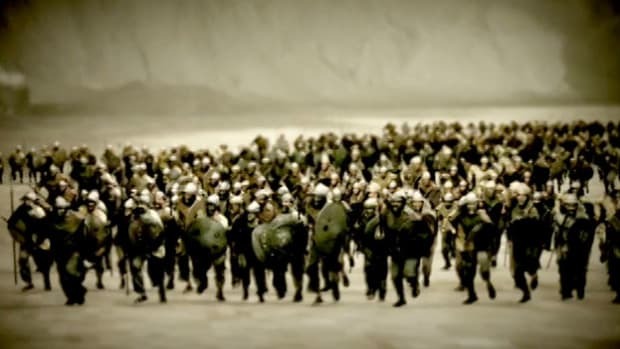 In the late summer of 480 B.C., Leonidas led an army of 6,000 to 7,000 Greeks from many city-states, including 300 Spartans, in an attempt to prevent the Persians from passing through Thermopylae. Leonidas established his army at Thermopylae, expecting that the narrow pass would funnel the Persian army toward his own force. For two days, the Greeks withstood the determined attacks of their far more numerous enemy. Leonidas’ plan worked well at first, but he did not know that there was a route over the mountains to the west of Thermopylae that would allow the enemy to bypass his fortified position along the coast. A local Greek told Xerxes about this other route and led the Persian army across it, enabling them to surround the Greeks. Much of the Greek force retreated rather than face the Persian army. An army of Spartans, Thespians and Thebans remained to fight the Persians. Leonidas and the 300 Spartans with him were all killed, along with most of their remaining allies. 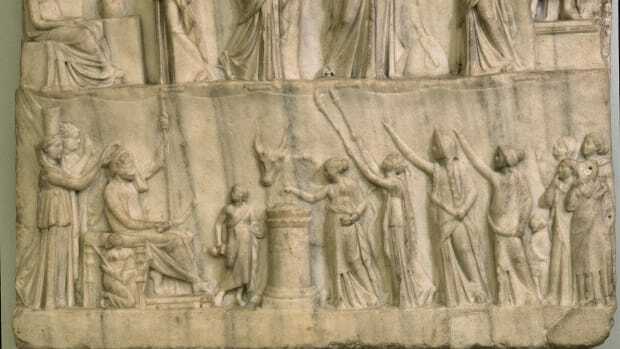 The Persians found and beheaded Leonidas’ corpse–an act that was considered to be a grave insult. Leonidas’ sacrifice, along with that of his Spartan hoplites, did not prevent the Persians from moving down the Greek coast into Boeotia. In September 480 B.C., however, the Athenian navy defeated the Persians at the Battle of Salamis, after which the Persians returned home. Nonetheless, Leonidas’ action demonstrated Sparta’s willingness to sacrifice itself for the protection of the Greek region. 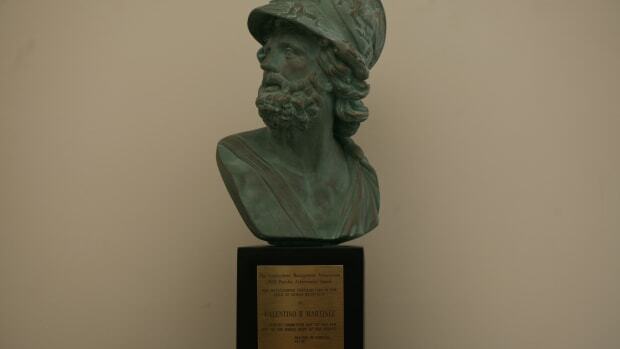 Leonidas achieved lasting fame for his personal sacrifice. 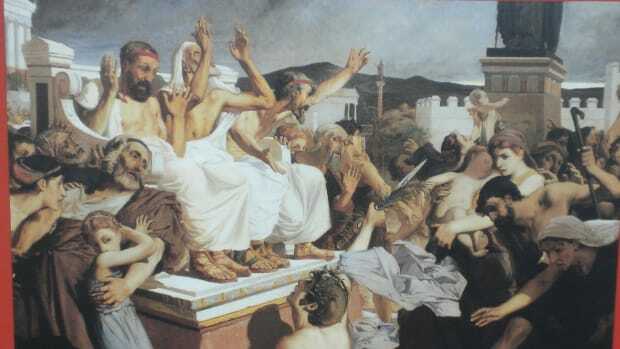 Hero cults were an established custom in ancient Greece from the eighth century B.C. onward. Dead heroes were worshipped, usually near their burial site, as intermediaries to the gods. Forty years after the battle, Sparta retrieved Leonidas’ remains (or what were believed to be his remains) and a shrine was built in his honor.